You just never cease to amaze me. The bracelet is just perfect and reflects the Downtown Abbey period. I admit I have not watched it, but now I think I must. Perfect use of your vintage beads. Beautiful. Your bracelet is beautiful. I'm a Downton fan too, and I agree about Matthew! 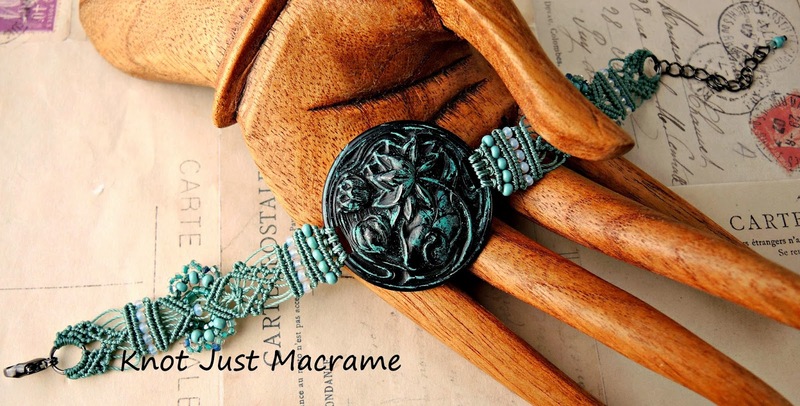 I think the vintage beads are a perfect compliment to the inspiration for the bracelet and the focal is beautiful. What a great bracelet! It really does reflect the period.